JULY 14 (WTN) - Under the ambitious 'Modi Care' scheme of Prime Minister Narendra Modi, 85 health and wellness centers in Madhya Pradesh are going to be started before August 15. For your information, let you know that Ashoka Garden, Bagsevania and Misrod primary health center will be set up as a health and wellness center before August 15. In Madhya Pradesh, they have been named as 'Arogyam'. Ayurvedic along with Allopathic method will also be available in Arogyam. 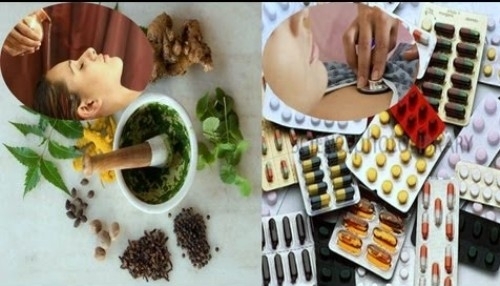 Therefore, there will be availability of both doctors of Allopathic and Ayurvedic. It is being said that there would be 'Yoga' training for patients, their family and villagers. Not only this, there will be facility of ‘panchakarma’ also. According to the information, the primary health centers have been selected for the purpose of forming Arogyam, in which doctors, lab technicians, pharmacists and staff nurses are all ready appointed. Ayurvedic doctors will also be appointed in these centers. There will be plenty of facilities for the patients in Arogyam and those coming along with them. According to the information, blood pressure and diabetes will be checked for people above 30 years of age, and cancer screening will also be available. Not only this, ‘AASHA’ workers will go from house to house and identify patients suffering from cancer, diabetes, high BP and other serious diseases. Telemedicine facility will also be available in Arogym. According to the information, doctors of the Arogyam can take advice from the doctors of the district hospitals or medical colleges. The patient will be registered at the national level software. The patient's unique ID will be created. If the patients will go to any other 'Arogym' centers in the country then after showing their ID, the entire information about patients will be available.